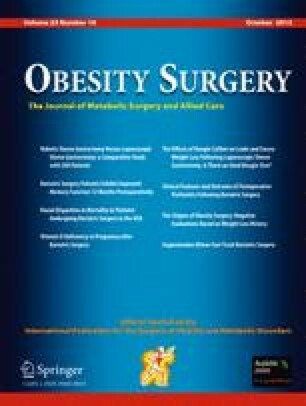 Laparoscopic sleeve gastrectomy (LSG) has become a common option in the management of morbid obesity. Although this procedure seems easier, many caveats remain, especially in terms of leakage. Other serious complications include strictures, bleeding, and gastroesophageal reflux disease (GERD). Strictures are related to operative technique but also to healed leaks and fistulas. To our knowledge, the literature reports on the physiopathology and management of strictures after LSG are scarce. A retrospective analysis of our database provided a total of 16 patients who underwent laparoscopic surgery for the treatment of strictures. A comprehensive review of each case was done including their management. Sixteen patients were treated laparoscopically for strictures. There were eight females (mean age, 40.6 years). Most common complaints were dysphagia (n = 14) and/or GERD (n = 8). Body Mass Index was 30.5 kg/m2 ± 9.3. Fourteen patients underwent a seromyotomy (SM) and two a wedge resection of the stenosis. After SM, morbidity included five leaks on the short term and five reoperations in the long-term. Of the 16 patients, 12 were treated satisfactorily, three required endoscopies and one had minimal GERD symptoms. Strictures and stenosis can be managed by laparoscopic approach with acceptable results. SM can be useful but carries a high complication rate. Accurate technique with parsimonious use of coagulation and possibly with the systematic use of an omental patch might lead to better results. The wedge resection of the stomach including the stricture was performed successfully in two cases. In addition, wedge resection was used secondarily in two other cases to address a complication of the seromyotomy. Dr. Ramon Vilallonga and Dr. Simon Van de Vrande Simon have no conflicts of interest. Dr. Jacques Himpens is a consultant for Ethicon Endosurgery and Gore.